*Disclaimer – I received a review copy in exchange for an honest review. For a smart woman, Alex is pretty clueless. She wants the truth, but she’s looking in the wrong place. She w ants love, but she’s not looking at all. If only Cam didn’t keep disrupting her life, Alex might be able to find some answers. After all, it’s not as if Cam is interested in her. Which is probably a good thing, since Cam is even more infuriating than she is charming—and she’s got plenty of charm. On the other hand, Rosamund, Cam’s ex and Alex’s professional rival, is definitely interested in Alex, but can she be trusted? Alex doesn’t even realize the historic house she’s staying in is haunted. Perhaps a little supernatural help will lead Alex to uncover the secret of a love story hidden for over a century, and to solve the greatest mystery of all— the truth hidden in her own heart. 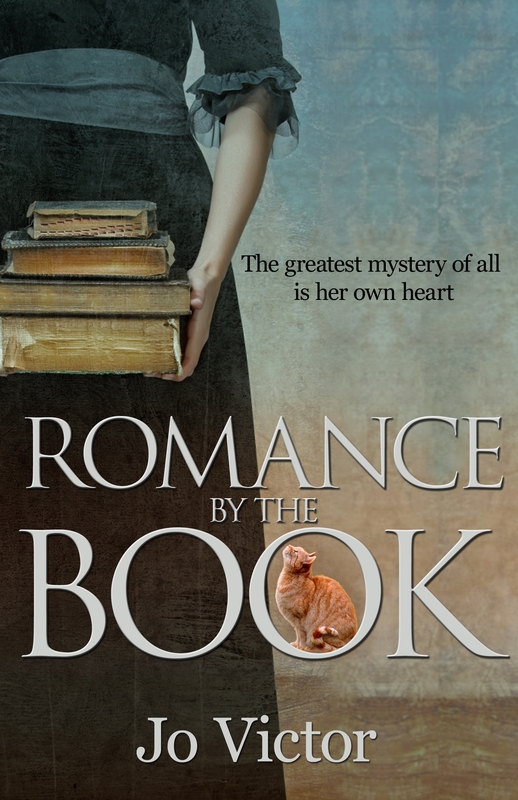 Romance By the Book by Jo Victor is full of romance, history, and the supernatural all set in a small village in England. I loved every layer of this book. The history of the dead poet’s life that Alex is trying to uncover was fascinating, and I really enjoyed the life in a small England village that the author painted by including fun details like the Lammas celebration. I loved how the author wove the past and present together in this story, which brought to life the characters who were long dead and made them an integral part of the present story. The author did a fantastic job of creating characters that drew me in and kept me hooked throughout the book. I was invested in the characters’ lives and how the story would end. I definitely recommend reading this book. It will not disappoint. Italian grandmother. When not fighting the good fight on behalf of black ink on whitepaper, she enjoys folk music, British humor, and excessive novel reading, all of which she highly recommends. She lives with her life partner in Virginia.